The 25th Legislature approved a number of significant measures, including an omnibus crime package, film production tax credits, state assumption of point source pollution regulation, and the creation of databases to track monthly alcohol purchases and prescription drugs containing controlled substances. Nonetheless, those actions were largely overshadowed by federal investigation of legislators, and ultimate indictments of two current and one former lawmaker, on charges that they were unduly influenced by improper payments from executives of VECO Corp., an oilfield services company. The VECO cases cast a shadow not only over the actions of the 25th Legislature, but also over the 2006 passage of the Petroleum Profits Tax (PPT), as questions arose over the degree to which illegal activities influenced that legislation. In the wake of the ongoing federal cases, the Legislature approved Governor Sarah Palin's Alaska Gasline Inducement Act to encourage construction of a large-capacity natural gas pipeline to the Lower-48 states. The scandal was later an impetus behind sweeping changes to the state's oil and gas production taxes and credits in a system known as Alaska's Clear and Equitable Share (ACES), and prompted a rewrite of ethics laws. 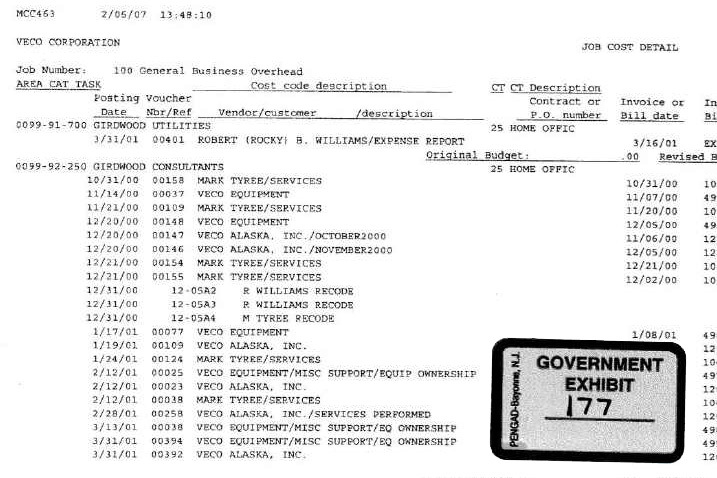 In addition to consuming much of the Legislature's time during regular sessions, the VECO affair was in part responsible for three of the four special sessions held in 2007-2008, which included the first of those to be held outside of Juneau. Despite the cloud hanging over its proceedings, the Legislature found itself flush with revenues due to record high oil prices. Schools and municipalities enjoyed increased funding through the state's $9.2 billion operating budget, and most Alaskans would ultimately see the impact of a massive $1.8 capital projects bill. Governor Sarah Palin is selected as the Republican nominee for Vice President of the U.S.
Alaska voters reject ballot measures seeking to prohibit the state from issuing permits for mining projects larger than 640 acres and to include grizzly bears among the animals that cannot be hunted using "same-day" airborne shooting. New Attorney General Eric Holder moves to have the criminal convictions of Senator Ted Stevens thrown out after prosecutorial misconduct involving withholding of evidence is discovered. The U.S. housing bubble bursts and prices rapidly drop by as much as 15 percent in some markets causing an increasing numbers of foreclosures. The related subprime mortgage loan crisis spreads causing severe damage to the U.S. and, ultimately, global banking systems, and sparking what is known as the Great Recession. Nancy Pelosi becomes as the first female Speaker of the U.S. House of Representatives. Conflicts rage in Afghanistan, Gaza, Iraq, Sudan, and South Ossetia (between Georgia and Russia). President G.W. Bush signs a $700 billion economic rescue package-the Emergency Economic Stabilization Act of 2008.